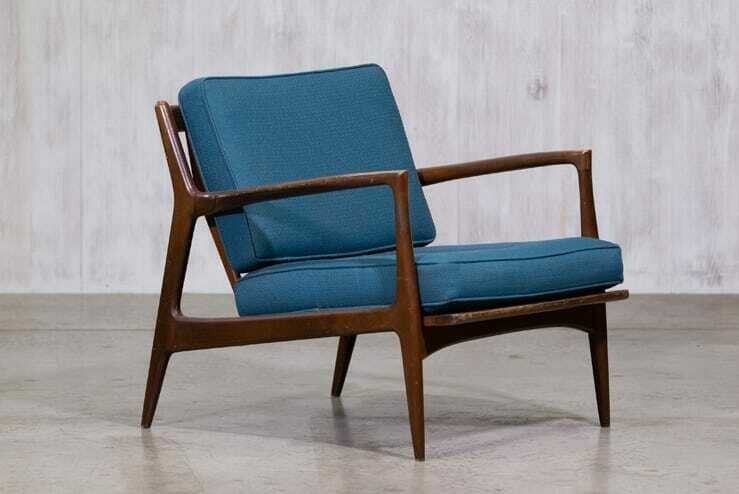 This Ib Kofod-Larsen for Selig lounge chair epitomizes the simple lines of Mid-century Modern Scandinavian design. Birch frame with sculptural slatted back. 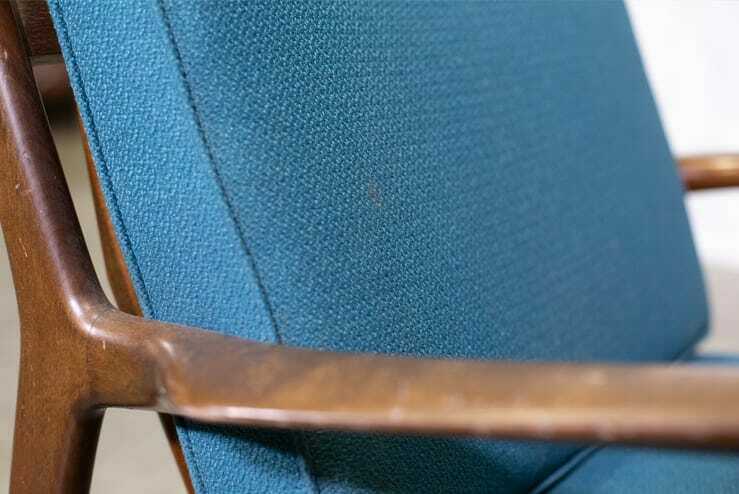 Teal upholstery with piping. Please note: There is a bit of wear on the wooden frame. 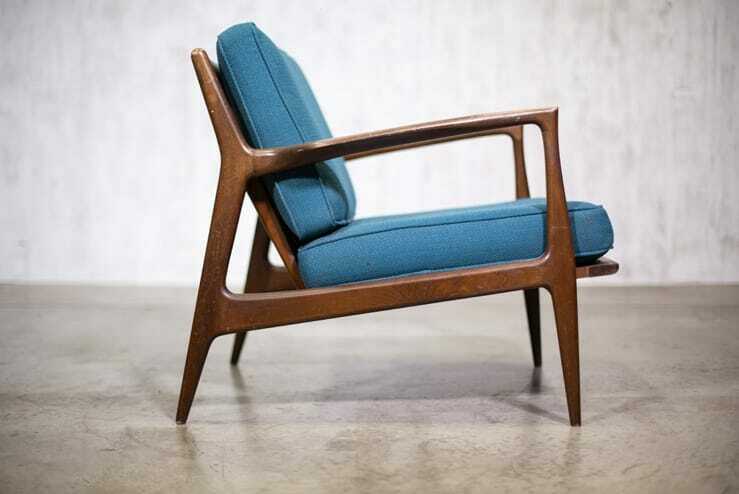 Danish designer Ib Kofod-Larsen was known worldwide for furniture that featured minimalist, organic lines. 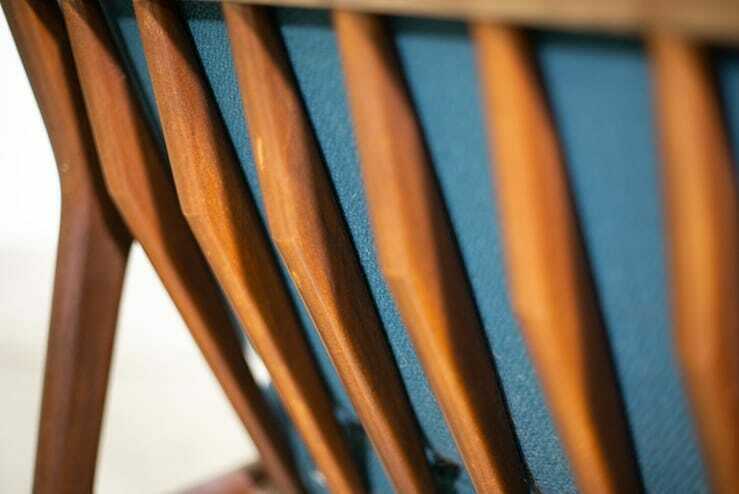 He began his career as a cabinetmaker and later studied architecture at the Danish Royal Academy of Fine Arts. In addition to furniture, he also put his distinctive mark on textiles and wallpaper.